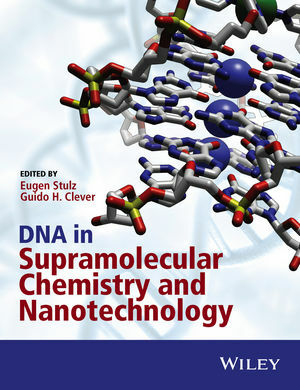 This book covers the emerging topic of DNA nanotechnology and DNA supramolecular chemistry in its broader sense. By taking DNA out of its biological role, this biomolecule has become a very versatile building block in materials chemistry, supramolecular chemistry and bio-nanotechnology. Many novel structures have been realized in the past decade, which are now being used to create molecular machines, drug delivery systems, diagnosis platforms or potential electronic devices. The book combines many aspects of DNA nanotechnology, including formation of functional structures based on covalent and non-covalent systems, DNA origami, DNA based switches, DNA machines, and alternative structures and templates. This broad coverage is very appealing since it combines both the synthesis of modified DNA as well as designer concepts to successfully plan and make DNA nanostructures. Contributing authors have provided first a general introduction for the non-specialist reader, followed by a more in-depth analysis and presentation of their topic. In this way the book is attractive and useful for both the non-specialist who would like to have an overview of the topic, as well as the specialist reader who requires more information and inspiration to foster their own research.